The Solomon Islands are part of the Pacific "Ring of Fire", a zone of tectonic activity known for frequent quakes and volcanic eruptions. HONG KONG: A 6.0-magnitude earthquake hit off the Solomon Islands in the early hours of Monday, the US Geological Survey said. 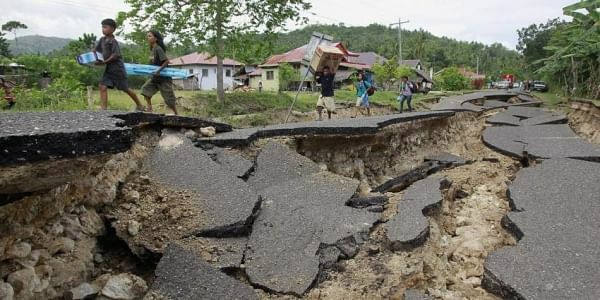 The quake struck at 02:43 am local time (1543 GMT Sunday) at a depth of 4.0 kilometres (2.5 miles), some 170 kilometres north-northeast of the capital city Honiara, the USGS said. In 2007 an 8.0-magnitude quake in the Solomon Islands claimed 52 lives and left thousands homeless when it created a 10-metre tsunami.